…these are a few of my favourite things! I love me a nicely wrapped gift, but I hate all that non-recyclable metallic wrapping that inevitably ends up in the garbage can. 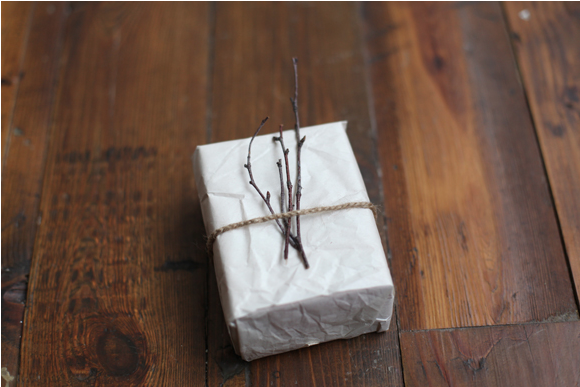 Which is why I love the idea of re-using brown paper bags as Christmas wrapping paper… add a little twine and a sprig of evergreen and you have a gorgeously festive, and very enticingly wrapped present. One year I wrapped all my gifts in carefully chosen magazine pages, and each gift looked like a unique collage. Everyone loved it - but it was a lot of work, to be honest. That was pre-baby me! This year I'm all about simplicity. 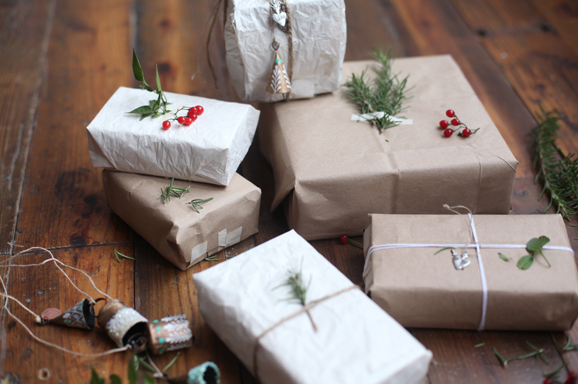 You know what else looks wonderfully festive and is super easy (and cheap!)? 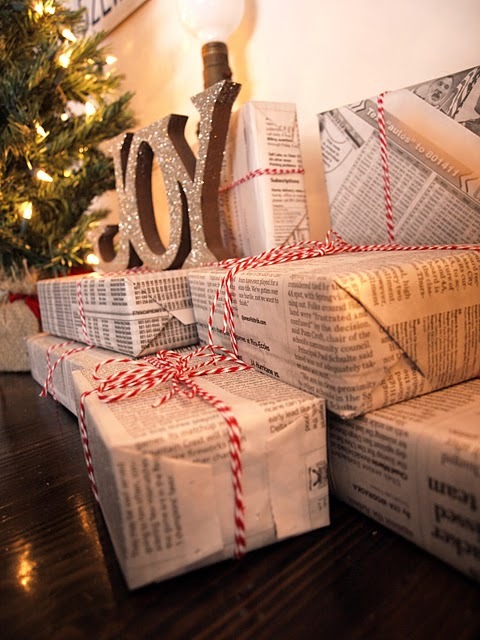 Gifts wrapped in good ol' newspaper and tied with bright red ribbon. That's all you really need. So ya, don't buy wrapping paper this year. Use what you have lying around the house… that's my plan anyway. oh my god this brings me back to a christmas in Dunham where I was on a recycling rampage back in college and I think I even put up a sign by the tree about reusing wrapping paper. haha. my family is not as enthusiastic about the cause as i am unfortunately. The only downside to newspaper is that the ink bleeds! Ikea has some christmassy brown paper every year! Cute cute cute! And I love the twigs!